Tiers block, good mates and the Green Hornet. I don’t know about you? but I regularly suffer from bouts of tiers block. I’ve come to learn over the years how to recognise the symptoms and they usually start just after I’ve cleaned up my tying area. I did that the other day. Lethal! I’ve just come to the end of a helluva run, hundreds of salmon flies have been falling off my vise. That’s the easy bit, you know what needs to be done, you have the materials and just get your head down and into it till your done. 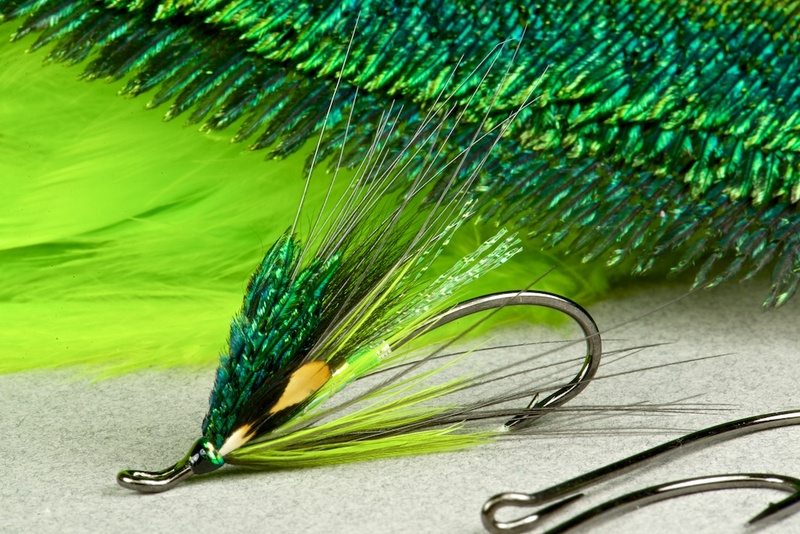 Then comes the day when faced with a pristine tying area, nothing in particular to tie on that bare hook in the jaws. Total blank! Well now, this is how I deal with it. Open a drawer and grab the first material that comes to hand, think of a pattern that uses that material and tie it. I grabbed some Peacock Swords. I’ve allways had an affinity for peacock swords and mostly managed to get it to do what I want. A good start. I’d been chatting with a couple of mates Tim (in New Zealand) and Dazzy (somewhere in the Cosmos) about the Alexandra fly pattern that very morning, so I rattled one out. 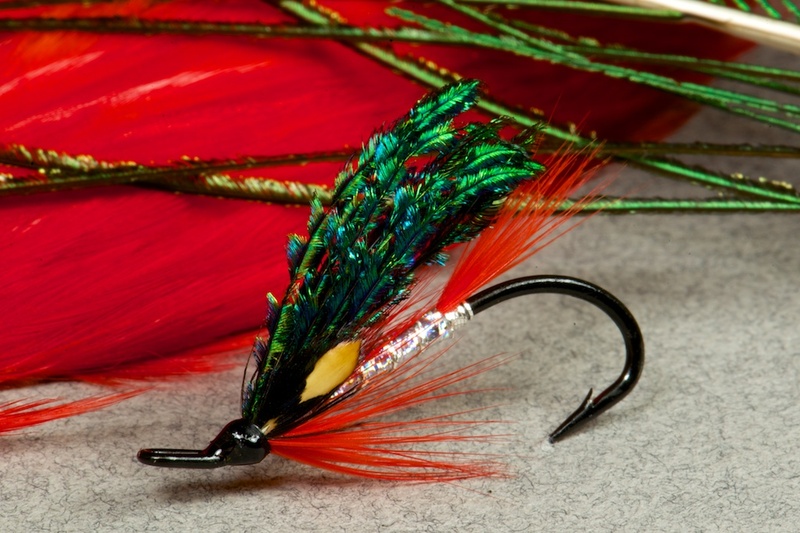 Took a photo and far from being pleased with the result, I started to see the mistakes and lack of proportions that I knew I was tying into the fly as I was wrapping it. Binned! Being my own worst critic I resolved to tie another, better version and if it involved a few more steps to make it tougher, then so much the better. Next, I tried a variant of the Alexandra that included a supporting wing of Turkey. Better, but to my eye it looks a little contrived, I’ll probably never fish it and I don’t see much point in tying flies that stay dry. Another for the reject jar. Anyway, all that messing about with Peacock Swords got me thinking about an upcoming trip to Canada, It occurred to me that green and black are a very common theme in Canadian patterns so I set about trying to come up with a workmanlike pattern that I could use this summer using the Swords. This is what fell off the vise. There was something about the colour scheme that grabbed me. You know the feeling I’m sure, the urge to run down the river and give it a swim. 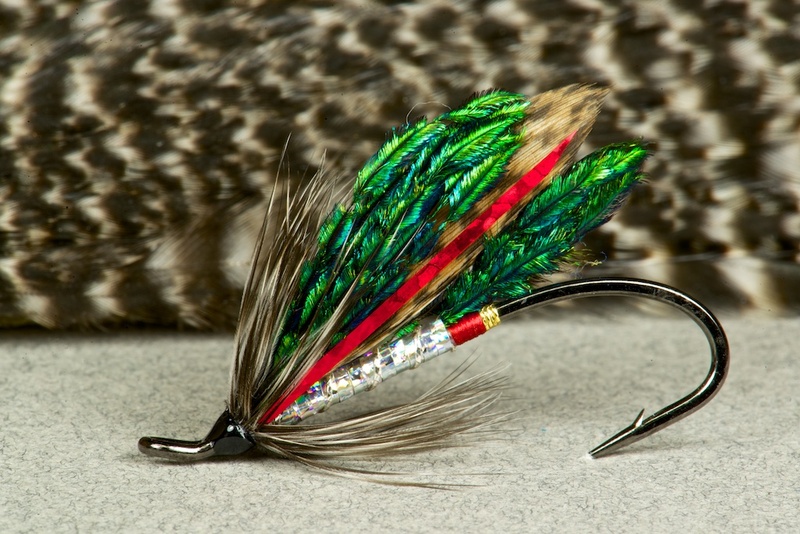 I showed it to a friend in Canada who I know has a soft spot for Green in his flies. Daniel Duval and I have been corresponding for some time and our styles of tying couldn’t be more different. So I decided to try one in his style, longer, slimmer on big single hook. I was trying to achieve a low water spey look. Now this one I don’t like at all, not even close. The colours are ok but way too overdressed and it doesn’t flow. But the Schlappen, something I don’t use a lot of, had potential (thanks to Stuart Foxall) and I love Blue Eared Pheasant. Back to the drawing board and this happened. Now this one does it for me, I showed it to my mate Marc Fauvet in France who says it looks like a green hornet so Green Hornet it is. Overwing.. matched peacock sword, finished with JC and a black and chartreuse crystal flash head. Tiers block has gone as I feel the need for a for a few more Green Hornets and I have a whole swarm of Hornet variations buzzing round my head. My tying room is back to being comfortably messy. Thanks, Tim, Dazzy, Daniel, Stuart and Marc. I really like this pattern. 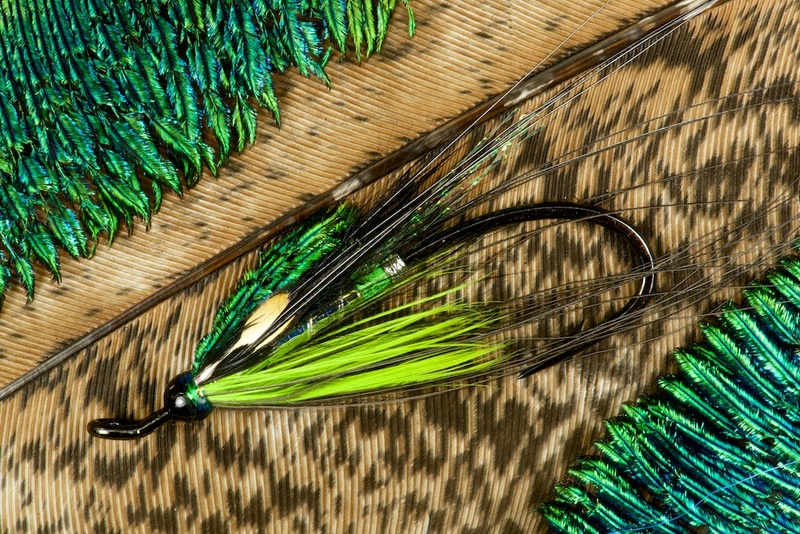 Green and black are favorites on the Margaree river, must try a couple this season.